The tree felling work in Fforest Fawr was discussed by Assembly Members at today’s Plenary. UKIP Regional Assembly Member for South Wales Central, Gareth Bennett AM, asked the Environment Minister, Hannah Blythyn AM, what discussions have taken place with Natural Resources Wales about the tree felling programme. You can watch the discussion below or read the transcript. I’m aware that there is a campaign and that a petition has been launched. Natural Resources Wales are monitoring the situation and trying to go for the best option, which is natural regeneration. 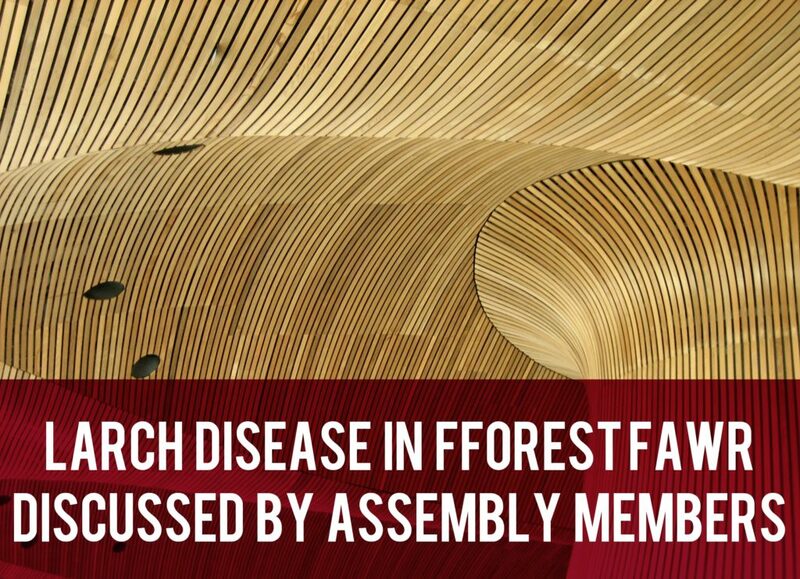 But, if this doesn’t happen, they will look at other ways of restocking the tree population at Fforest Fawr. I know that a public meeting was held in Tongwynlais, which was well attended, and that NRW did make a convincing case for the natural regeneration of the woodland, and I believe that the people who attended the meeting were satisfied. But I think it’s important, as the Minister has said, that if there fails to be natural regeneration, they should reconsider whether any trees should be planted. After the harvesting has taken place, NRW will encourage native species such as beech, oak, birch, wild cherry, rowan and hazel in the forest to naturally regenerate. But it will also monitor the regeneration in the forest before considering if any replanting is necessary and will also keep the local community updated with any developments. This is such an important site in south Wales. It’s so popular, within its own right but also in its close proximity to Castell Coch. I think the key thing is that, after two or three years, there’s a proper assessment, and all the people that have been concerned, all the community groups, are given that information, so that they can see it, and then we can all be assured that either natural regeneration has worked, or is working, or it needs to be supplemented, or a new approach has to be taken.